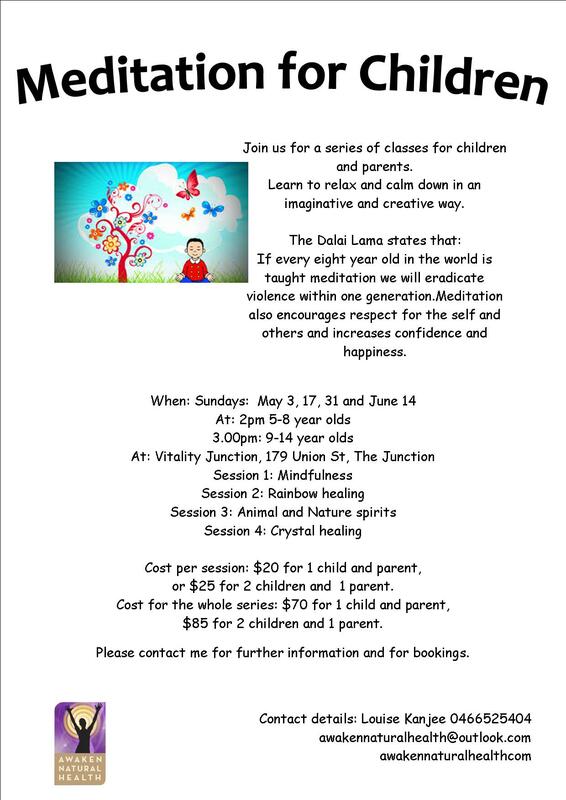 Meditation for Children is back!!! I am so happy to announce that meditation for children is back after a few months break! This time they will be at Vitality Junction in Newcastle. I am holding 4 sessions over 8 weeks and if you book for all 4 ahead of time you get a discount. We will be doing a different meditation each week – details are on the flyer below. Bookings are available online click on the red button below Or contact me for more details.